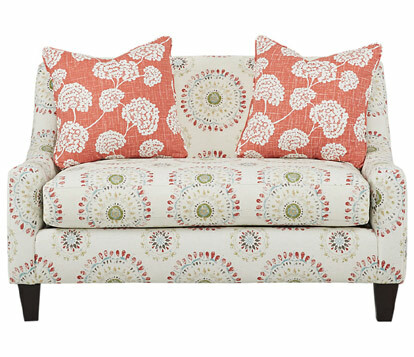 What's the Difference Between a Sofa and Settee? Most people are certain that they know what a sofa is, though they might be less confident about the difference between a sofa and settee. When comparing the two, consider design and function to find the right piece for you. 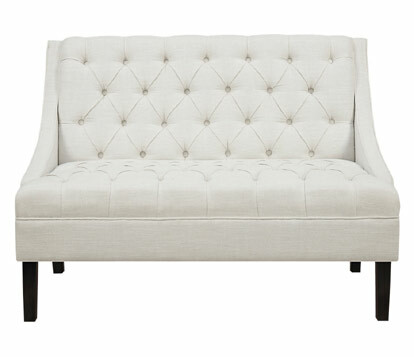 Settees feature a slimmer, more elegant profile than sofas. 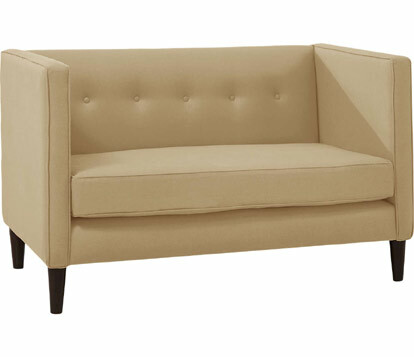 Considered accent seating, settees typically have high, straight backs, shallow seats and tall, exposed wooden legs. Other characteristics can include full upholstery, attached seat cushions, conservative padding and room for two people. Sofas come in a variety of styles, from traditional couches to modern and spacious sectionals. These pieces typically seat from three to eight people, making them ideal for large groups. Some may come with removable cushions for easy cleaning or other conveniences like reclining footrests, cup holders, or fold-away mattresses. Because of their more formal look and feel, settees are not an ideal choice for a busy, lived-in family room, den or home theater. They are often decorative and used in formal living rooms or parlors full of family heirlooms and antiques. With a wider range of styling options, sofas are more versatile. Some styles might be fit for formal settings, while others are casual and cozy. Their upholstery often allows for more long-term wear and tear, with durable fabrics like Microfiber and leather being common coverings. The size difference between a sofa and settee also affects their function. With their petite proportions, settees easily fit into small spaces like entryways, bedrooms, conversation areas and coffee nooks offering a polished look and a convenient seat for occasional use. These pieces may also be used as secondary seating along with a couch or two in a larger living room and with their upright styling can make a stunning choice for a dining room bench or banquette. 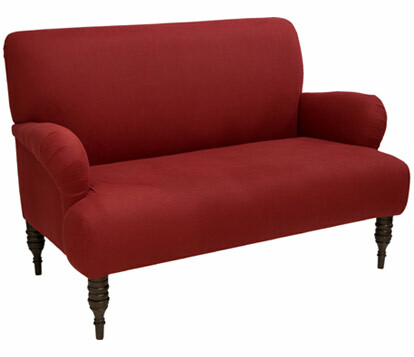 Depending on your design needs and preferences, either a sofa or settee could make the perfect addition to your home.